Need hope? We are all desperate for it. We’ve all had times in our lives when we have been hopeless. I don’t know about you, but I don’t ever want to go back to those times. 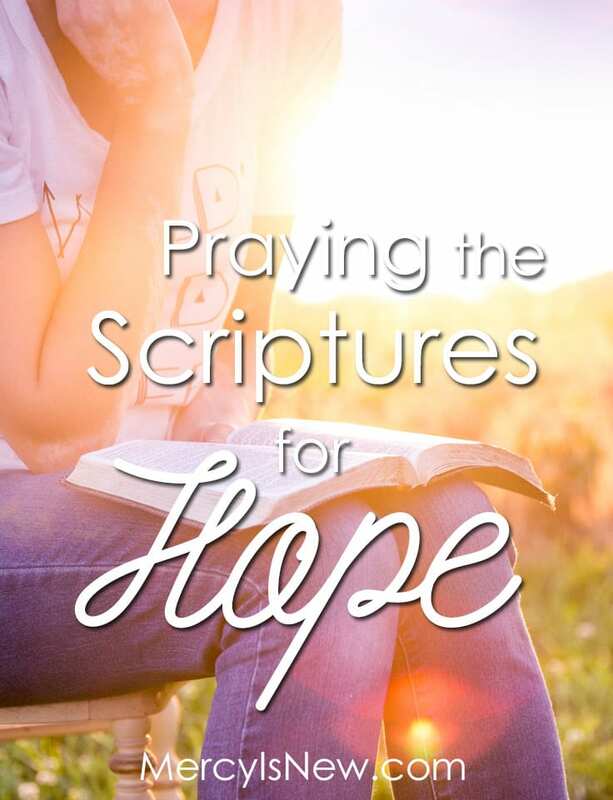 Each month, we focus our hearts on a certain topic and PRAY SCRIPTURE about that topic. 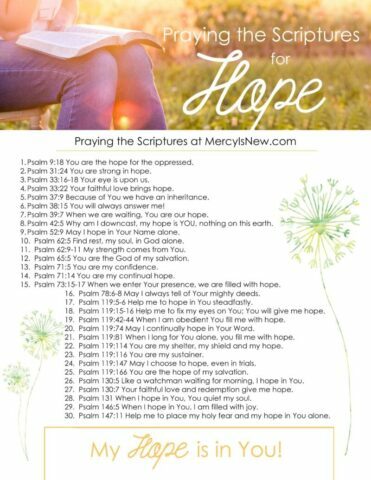 For April, with the HOPE of the resurrection fresh in our hearts, I wanted to find verses that will encourage our hearts toward hope. In March we prayed 31 verses that led us to the cross. This month, we’ve focused on the cross, we’ve experienced the repentance and forgiveness that are GIFTS from God…and now we are reminding ourselves to place our HOPE in Christ. Find the other months of Praying God’s Word here.